The topic was “The Crucifixion of Jesus.” Here are the questions I answered on Catholic Answers Live on Wednesday. You can listen on-line here or download the podcast here. 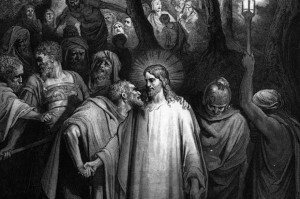 1) Did Judas simply point out Jesus or did he accuse Jesus of a criminal act? 2) Can you clarify how the Passover in Exodus relates to the Passion of Christ and the Eucharist? 3) I have heard that Jesus was crucified on a tree rather than a cross. What is your opinion? 4) During the trial Jesus was the subject of jeering and mocking. That hurts me very much. Why did he have to be mocked? 5) How much of Judas’ betrayal was based on his free will and how much was predestined by God? 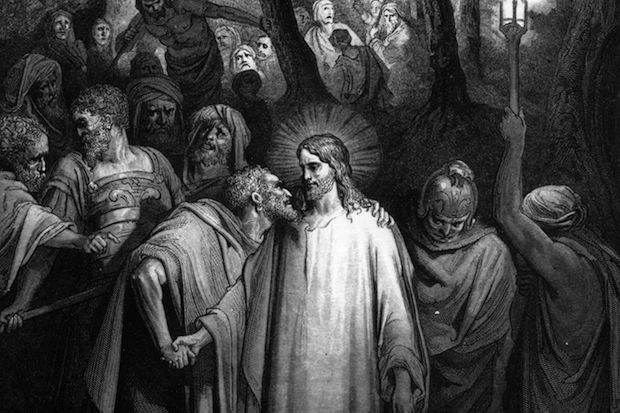 Was Judas programmed to betray Jesus? 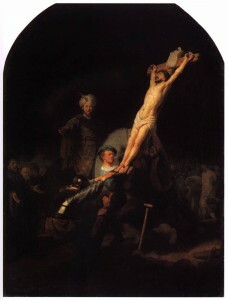 6) It seems that Jesus was “nailed” to the cross whereas the two thieves were attached by ropes. Is this true and why? 7) A young boy asked, If Jesus died on the Cross, how did he bring himself back to life? 8) Matthew and Mark say that the two thieves mocked Jesus but Luke says that one of the thieves speak kindly to Jesus. Is this a discrepancy or contradiction? 9) I always thought it was Temple Guards who came to arrest Jesus but the Bible seems to say it was Roman soldiers. Can you clarify this for me? 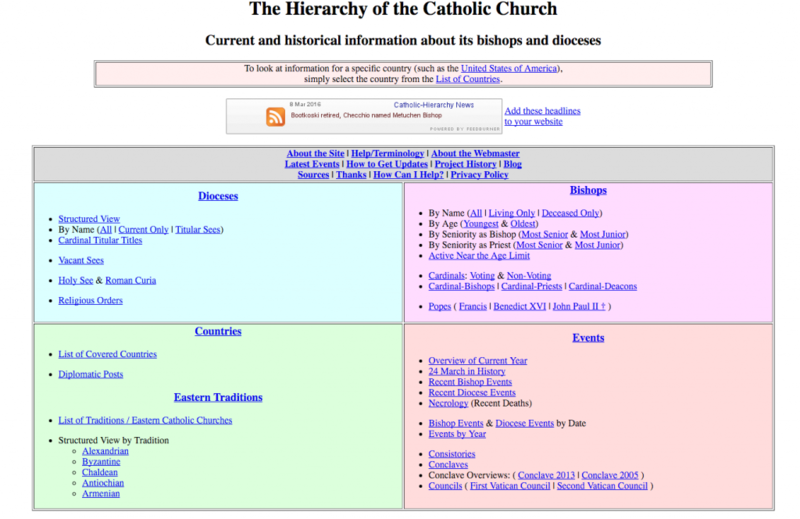 There is a boatload of info on this website including the Bishops from around the world, Cardinals, Councils, and much more.